Our ASE Certified Technicians have a combined experience of over 200 years and will go the extra mile to ensure the health and safety of your vehicle. 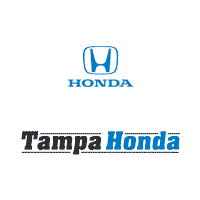 If you’re looking for a car dealership that doesn’t compromise on quality, visit Tampa Honda. We’ve been one of the best in the area for years, and there’s no way we’ll let our reputation fall to anything less. We have every Honda you could ever want, including both new and pre-owned models. Click to search our inventory.